Do you have a long list of improvement opportunities that never seems to change? 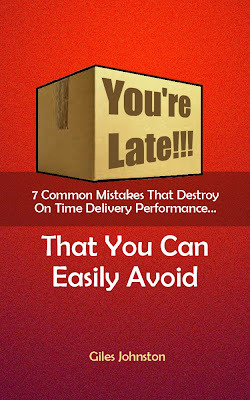 Do you feel that the whole list is stuck and not delivering the benefits that are possible? …if you feel the same then you are not alone! When we have either large projects, or too many projects, the close out of the improvements can seem to be sluggish. So, how about a strategy you can try out and see if you can get some traction with your improvements? Split up the improvements into ‘packets’ that are no longer than two hours and then work on one packet at a time (as a team). If you have a bigger project there will be lots of packets. Small projects might just be one packet. You can mix in small projects between a larger project’s packets. The team has one focus at any one time. Our ability to handle, and deliver, multiple improvements at any one time on top of our normal day to day responsibilities is limited. When we go past this limit we often find that instead of making some progress we just get confused and make no progress. A side benefit of the small packets approach I mention above is that your team will get the taste for closing out improvement projects because you will be winning on such a regular basis that it can become addictive! And, why two hours? It is small enough to lose in the week (amongst your other obligations) and long enough to make a difference. This isn’t prescriptive though, experiment with different packet durations if you wish. If your projects are stagnating then have fun with this approach and let me know how you get on with accelerating the rate of change in your business. Do you want more strategies like this?